We were delighted when Jon Bernthal was cast as Frank Castle a.k.a the Punisher on Netflix’s (and Marvel’s) Daredevil, because his granite-hewn features were in line with the ones we envisioned when we learned that the series’ second season would introduce the vigilante. Bernthal subsequently lived up to that promise, and will soon headline a Punisher spin-off. But the actor recently revealed that while we might think we know Frank Castle, we still haven’t had the pleasure of meeting the Punisher. 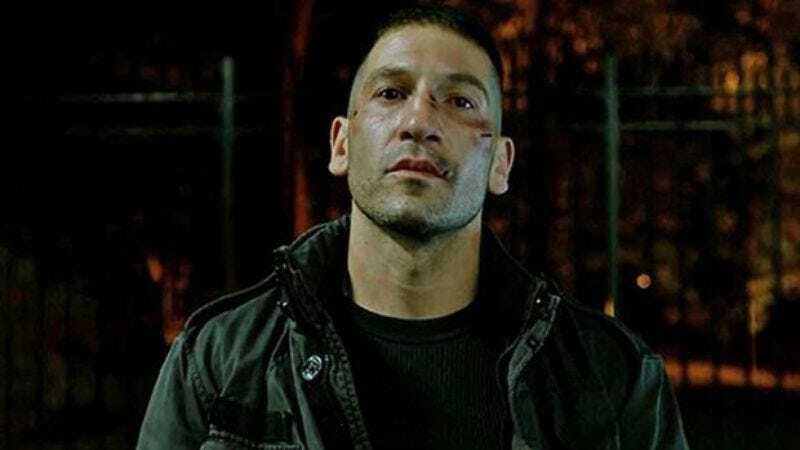 Speaking with Awards Daily, Bernthal insists that Daredevil viewers have only witnessed the beginning of Frank Castle’s reckoning—which makes sense, given that the character’s origin story was basically told in season two of the drama. So you see, the Punisher has not yet begun to punish—up until now, the bad guys who had the bad luck to cross Castle’s path were really just paying fines. All those dudes who ended up on the ground, with their necks and bones bent at various, odd angles, had really just received community service. And Tony Curran’s character got supervised probation, we guess? But if you thought those were real penalties, then Bernthal thinks you don’t know The Punisher.